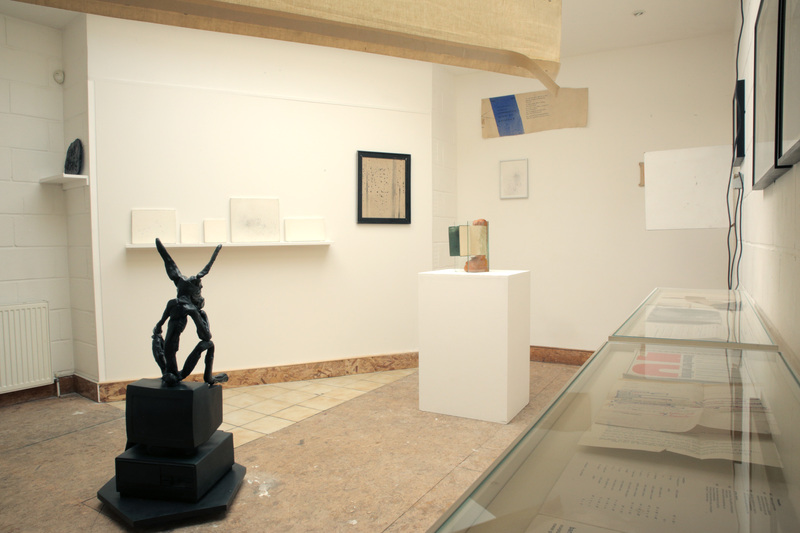 Curated by Jo Melvin, Palindromes looks at Barry Flanagan and John Latham’s preoccupation with ’pataphysics. 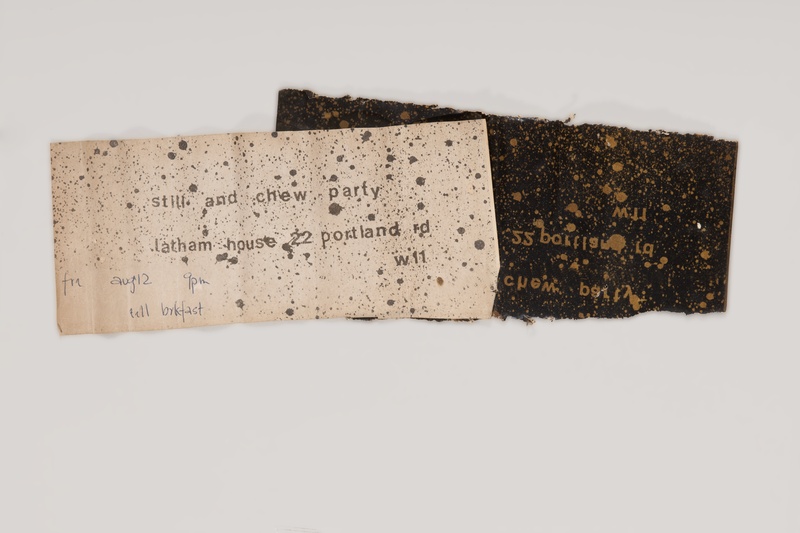 John Latham, Still and Chew invitation. 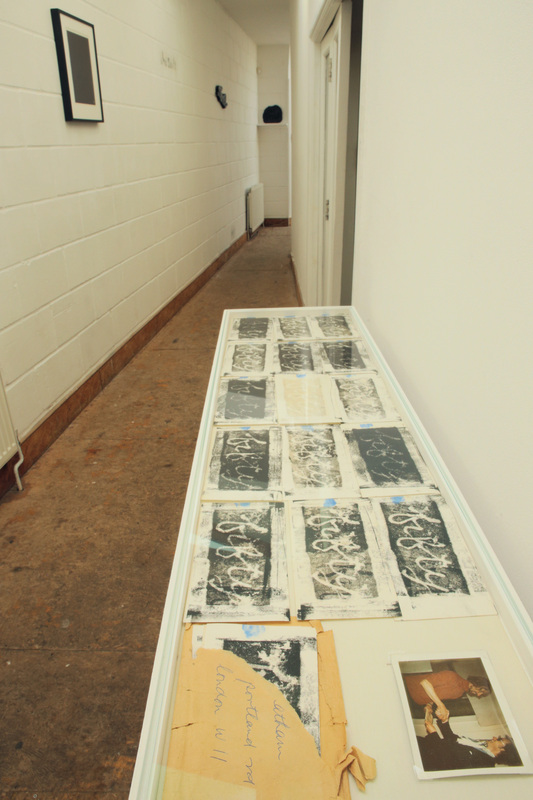 Image copyright The Estate of Barry Flanagan, courtesy Bridgeman Art Library. 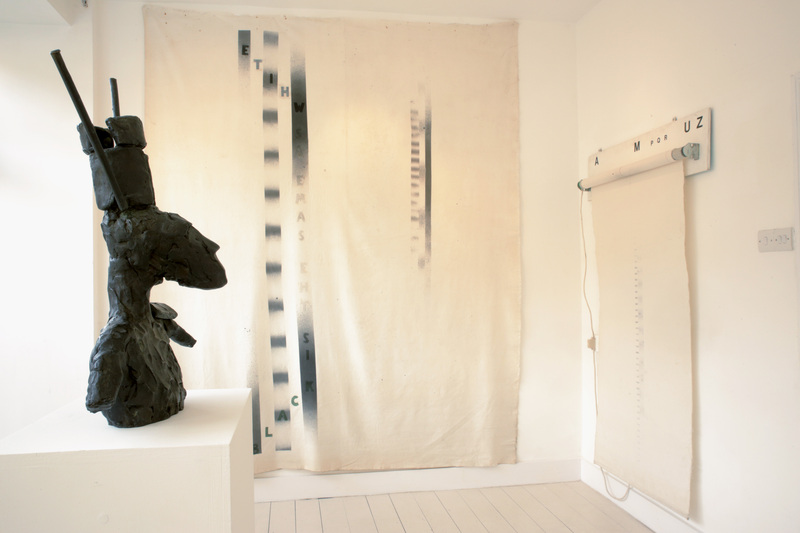 There are numerous apocryphal stories about the collaboration between John Latham and Barry Flanagan. No doubt some of these are embellished by their narrators, though the traces of recollections may be evanescent some ‘truths’ remain. There are of course many ‘facts’ that can be substantiated by documentation and evidence. Perhaps the first is that when Barry Flanagan started at St Martin’s he quickly became frustrated by the lack of drawing in the department and headed upstairs to painting where he joined Latham’s classes. They became friends and frequented Soho’s nearby pubs, Flanagan remembered ‘The Coach and Horses’ as a particular favourite. What the topics of their conversation were, is the subject of speculation and people remember events, as well as atmospheres, differently. They had shared interests; notably economic theory, linguistic systems, value systems, language structure, metaphysics, ontology, poetry, both enjoyed serendipity, chance and these combined with a certain gnomic humour are catalysts for investigative, creative processes. 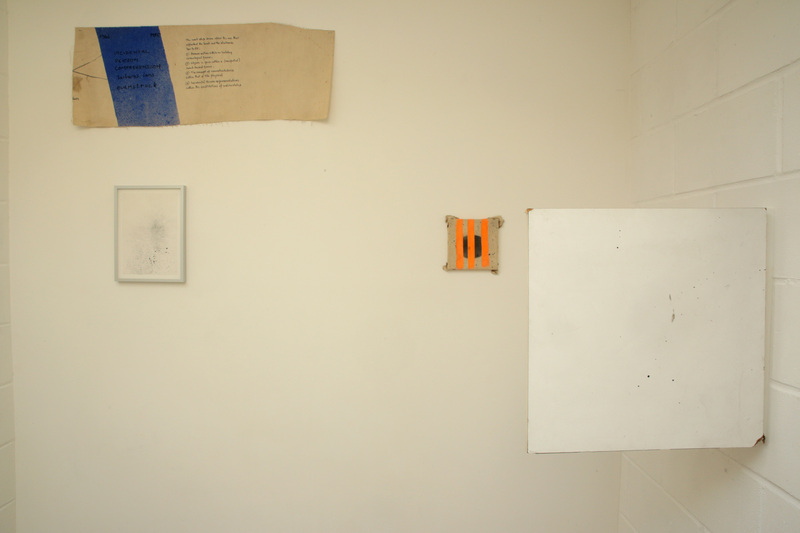 Establishing the common ground is not difficult and it is logical that Latham and Flanagan would have gravitated towards each other in order to discuss paradoxes and contradictions of making art. Discussions of monetary and aesthetic value lead to considering how these systems are determined by time. This includes questions of labour cost, how much is time worth and by whom this is measured. These quantifications affect how we think – whether something is worthwhile or not worthwhile depends on criteria. Holding onto the concept of ‘not knowing’, of casting the yes/no and either/or paradigms aside, even if only temporarily as an impossible aim is hard. This is due to its slippery character as much as a self-conscious societal need for accountability. ’Pataphysics, is properly denoted with the apostrophe before the letter p, as if to close a previous speech mark and thus mark a metaphorical circularity, or to put it another way, an ending before a beginning. This circularity of intention is a primary characteristic of pataphysical thinking and which is frequently symbolised by the spiral form. The movement is similar to the palindrome, which is a paradoxical forward-backward relationship. This exhibition will illuminate their collaborative and shared concerns beginning with the notorious Still and Chew happening, when the formalist critic Clement Greenberg’s recently published collection of essays Art and Culture was systematically chewed to a pulp in 1966. 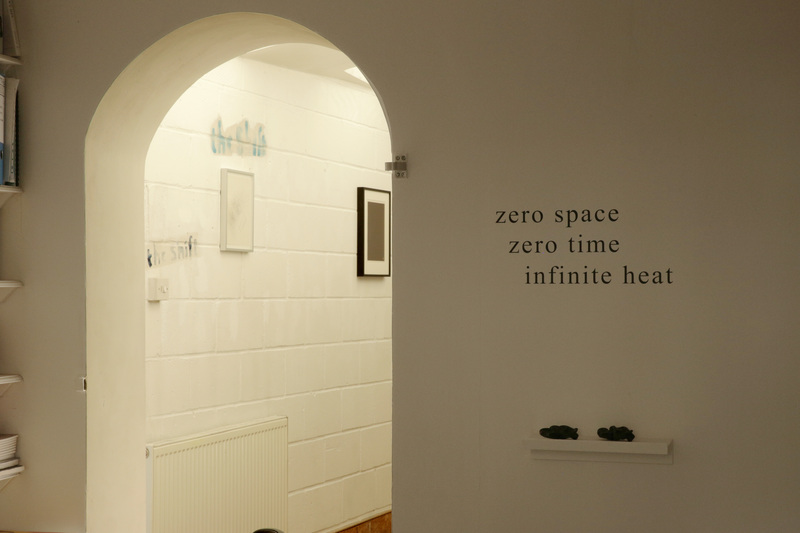 Flanagan’s catch phrase ‘examine the facts’ provides a curatorial key. 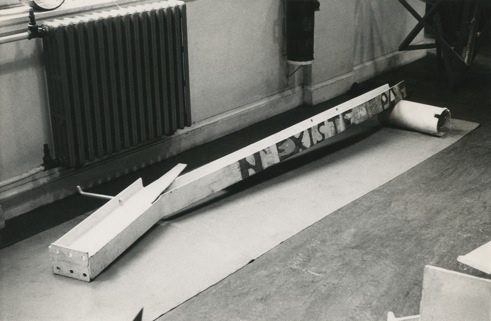 Barry Flanagan N'existe pas, 1964. 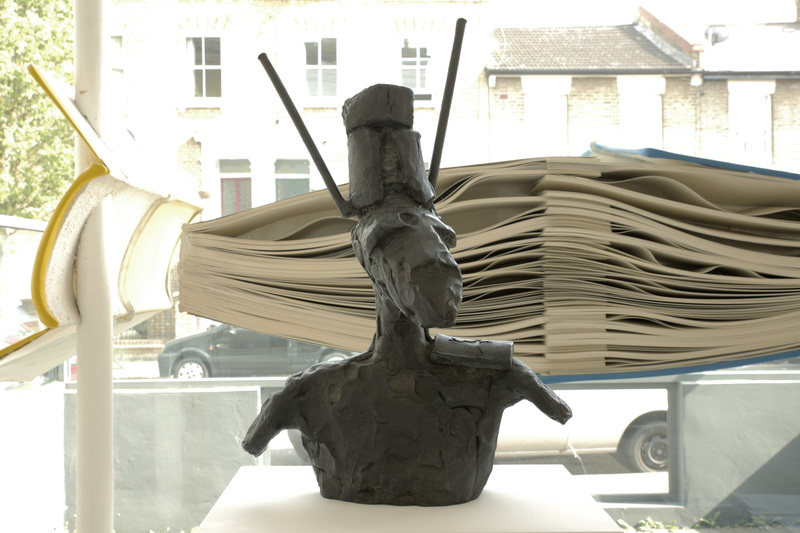 Image copyright The Estate of Barry Flanagan, courtesy Bridgeman Art Library.